Hi. I’m Ben Souchek with Home Downsizing Solutions by the Sierra Group. We have been buying houses direct from home sellers for more than 20 years, but for the past 10 years or so, since the 2008-2009 market correction, we have been working with more home sellers that had a downsizing theme to them. Maybe they’ve been in the house for 20, 30, 40 years, and typically didn’t have many updates done for buyers that are in today’s markets that are typically picky buyers and want houses updated completely. And during that time, when it was tough to find any buyers for houses, the individuals wanted to sell their house, and wanted a stress-free, convenient way to sell their house, and we were there to hopefully assist them during that period of time. The reasons that the sellers chose to do business with us, because they certainly didn’t have to sell their house, is that we made it very easy to make that transition. We bought their house as is. They did not have to do any updates or repairs to get it ready to sell. They didn’t have to worry about showing the house to potential buyers that may or may not have been serious about buying their house. They didn’t have to be inconvenienced with agents calling them at inconvenient times to show their house. They didn’t have to worry about the potential challenges, or potential issues, with negotiations that typically come from home buyers that get whole house inspections and appraisals on their house that then lead to renegotiating the purchase price or terms. With our company, it’s a very straightforward process of inspecting the property. 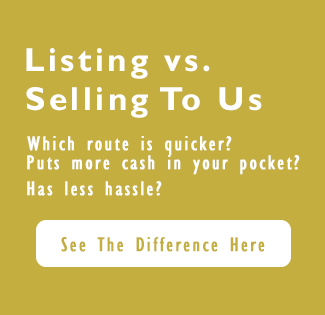 We make an offer, or multiple offers on the house for a few different solutions depending on what is right for a seller, and typically those will go through without us doing any adjustments to them. Only if there is a major issue that our inspectors do not catch will there be revisiting the price or terms. But that typically has happened very, very few times over the last 10 year period, and even 20 years for our entire company. 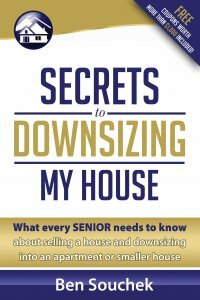 So, if you are looking for a stress-free, hassle-free way to sell your house and make a transition to a new home, please give us a call or check out our website at www.homedownsizingsolutions.com, www.homedownsizingsolutions.com, or call toll free 855-291-5005, 855-291-5005, and we would be happy to send you out a Secrets to Downsizing book, and hope that we can help you out in any manner that we can. Thank you.